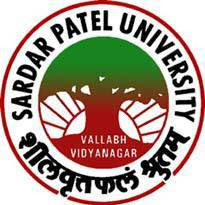 Sardar Patel University, Vallabh Vidhyanagar, Dist. Anand Published Recruitment Notification for Fieldman Posts. View More Details About This Recruitment Including Total Posts, Posts Name, Qualification, Age Limit, Salary, How to Apply etc., are Given Below. Qualification : S.S.C. / H.S.C. with English and Diploma in Agriculture or B.A. with Economics / B.Sc. Agriculture. How to Apply : Interested and Eligible Candidates can Send Their Application to Below Mentioned Address Along with Other Necessary Documents. Address : Agro-Economics Research Centre, Sardar Patel University, Vallabh Vidyanagar - 388120. Anand, Gujarat.